We now offer building permit services. We have experience pulling permits in Duval, Clay and other counties in the Northeast Florida region. The permitting process can be confusing and time-consuming. We can help reduce delays and headaches. 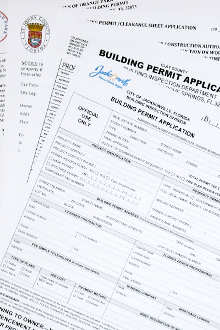 Let us handle your next building permit application, so you can focus on what matters to you.